When Can You Sue For Personal Injury? A group of kids whose lives have been–or will be–greatly affected by a global rise in temperatures are taking advantage of their right to fight the U.S. stance on climate change. Or Trump’s stance, rather. 17-year-old Nathan Baring is an Alaska native. Once upon a time, he could enjoy cold weather activities as early as August. Now he normally has to wait until November, much like the rest of the country. He blames rising temperatures for the change, and he’s willing to take the U.S. government to court because they’re not doing enough to protect his beloved way of life. 9-year-old Levi Draheim is facing a different crisis: one that hasn’t happened yet, but almost certainly will. By the time he is 42 years old, it is expected that climate change-fueled rising water will submerge his current home on an island off of Florida’s Atlantic coast. He too takes the matter seriously enough to hold the government responsible for its inaction. These two children are fighting alongside nineteen others in order to take the U.S. government to task, claiming it has the responsibility to protect its citizens from the effects of climate change instead of making policy that makes it more likely to threaten the welfare of future generations. Scientists believe that summer Arctic sea ice will vanish by 2050. Temperatures could rise up to four degrees Fahrenheit. The effects will be felt everywhere, not just in the north. The remaining rainforests could face additional devastation, wreaking even more global havoc and increasing the opportunity for freak weather events already on the rise. The lawsuit levied against the federal government contends that public trust doctrine was violated. This doctrine has ancient roots. It means that government can and should be held accountable for their failure to protect natural resources for public consumption. These include both land and water. Because the climate affects these resources, the government is indirectly implicated in their demise. NASA climate scientist James Hansen has since joined the fight. He called the current climate and energy policy “at-best schizophrenic, if not suicidal.” U.S. District Court Judge Ann Aiken sided with the claim with a ruling that said our kids have a fundamental right to a stable environment, going one step further by stating how a stable climate is also necessary to maintain a free and ordered society. Her ruling paves the way for the lawsuit to proceed as planned. Obviously insurance law deals with all types of insurance and the legal controversies and quagmires that surround it, but that doesn’t mean much all by itself. What type of legal controversies and quagmires can arise? Will you ever find yourself in one? Sometimes insurance doesn’t work as it should, and you might need to protect yourself and your loved ones. These are the various aspects of insurance law you should know. There are three basic categories into which insurance law falls: the regulation of insurance as a business, the regulation of insurance policies and the content therein, and the regulation of how claims are handled by insurance companies. A provision of the 2005 Gambling Act seemingly removed the insurable interest mandate in almost all common law jurisdictions. Insurable interest isn’t what it sounds like. It’s the relationship between the person who is insured and the subject of that insurance. Insurable interest was considered a requirement in order to legally enforce most insurance contracts. A failed contract is one such reason an insurance provider might find itself at court. Have you heard of the concept of utmost good faith? It’s what any insurance contact represents. Insurance companies are bound by the same laws as other businesses. They must follow zoning or land use regulations. They must pay their taxes. Their workers are subject to wage and hour laws. But insurance companies are also regulated by additional laws, many of which were implemented after the U.S. Supreme Court began to rule on associated laws in the 1940s. Most states have their own administrative agencies put into place for regulating insurance, and that can make liability under the law more complicated because many insurers operate across state boundaries. Another reason that an insurer might find itself in hot water is bankruptcy. When an insurance company files for bankruptcy, the National Association of Insurance Commissioners acts to reduce the financial hardship on both sides of those under legal contract. The U.S. regulates insurance companies more than you might think, and policyholders are protected against claims that act on bad faith by law. All contracts have certain standards by which they must abide, and premiums are regulated so that prices stay as low as possible. If you think your insurance company is taking advantage of your situation by breaking or bending any clause of the insurance contract, then it’s time to seek the aid of legal counsel. Personal injury can take many different forms, and it’s important you know when you can sue for personal injury versus when you can’t. Did you know that your state of emotional distress during a traumatic event is a type of personal injury? It can be compounded further if you have a physical injury on top of that. There are a number of other situations included in personal injury law. But when can you sue? Whenever negligence is the cause of an injury, you have the right to compensation. 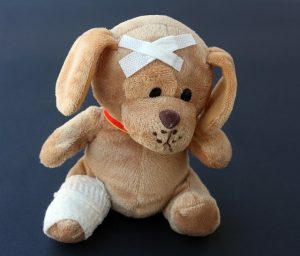 There are many types of personal injury cases: car accidents, slips and falls, medical malpractice, defamation (when a person or organization lies about your or your business, which could cut into your financial bottom line), assault and battery, and dog bites. Some states have no-fault rules at work that would prohibit you from suing for personal injury after a car crash. In some cases you might also be prohibited from suing when injured at your job. Some municipalities will limit the amount of compensation you can receive after an injury caused by a state employee. Negligence in these situations is why you need a personal injury attorney to navigate you through the legal mess they create. Most workplaces have access to Workers’ Compensation, which is a pool of money for use when an employee is hurt. Depending on how bad the injury is, there may be disability payments included in the package. If you believe your employer’s negligence caused an accident which left you hurt or disabled, then you should still contact an attorney to explore your options. When you get hurt because of a government employee’s negligence, you might need to file an injury claim with the government in order to receive any kind of compensation. Sometimes there are strict time limits on when you can do this, so work quickly. Some government employees have a type of immunity which protects them from private lawsuits. When you get into a car accident in a no-fault state, your options are cut in half. That means you have to get compensation from your own insurance provider in the form of PIP or Personal Injury Protection. It covers lost wages and medical bills. Beware that your insurance limitations will determine how much compensation you can receive. For exceptions to this rule, contact a personal injury attorney.